Whatever you do at home with your pizza but you can’t have that pizza shop flavor in your pizza at home. and you start thinking about some “secret recipe.” Maybe the magic lies in the dough, or maybe it is about the sauce and that is why pizza shop has such flawless tasty pizza. 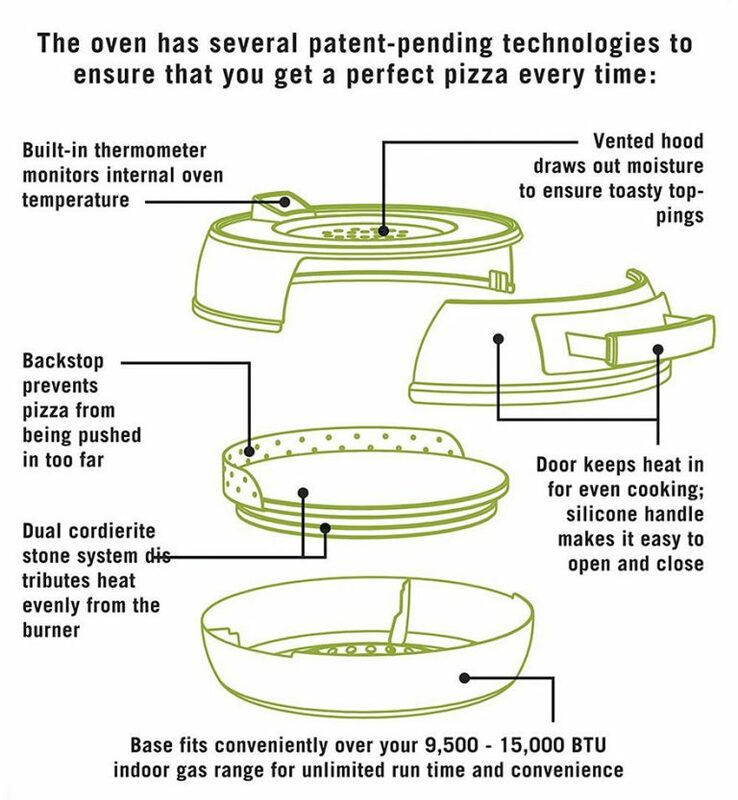 But the reality is that the ultimate “secret” behind a perfect pizza is the quality of the oven. No matter how good the dough and the stuffing is, pizza requires being baked at a specific temperature and regulated conditions to become a mouth watering treat. Unfortunately, most of us can’t afford a commercial sized and quality oven. Pizzacraft Pizzeria Pronto Stovetop Pizza Oven, which has been designed to provide the perfect cooking and create the pizza of your dreams. This frying pan-esque oven only requires you to place it above the gas burner, and it’s ingenious design raises the inside temperatures to over 600 degrees; which is even more than most of the conventional ovens. The pizza only takes around six minutes to cook, meaning with only a single oven you make as many as five in as little as 30 minutes! You can buy it from Amazon for $160 only! Which is nothing for making your homemade pizza.